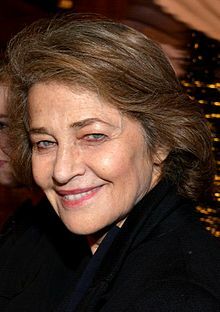 Ta Charlotte Rampling ny ben-choleider fillym Reeraight Unnaneysit. Rug ee ayns Sturmer, Essex er 5 Mee ny Nollick 1946. Hie yn duillag shoh er ny reaghey er 23 Toshiaght Arree 2016, ec 08:19.